I just took a reservation fee for the last remaining spot on my small group 2019 Wildlife Photo Safari (sorry @Mike G - you were too slow! ). 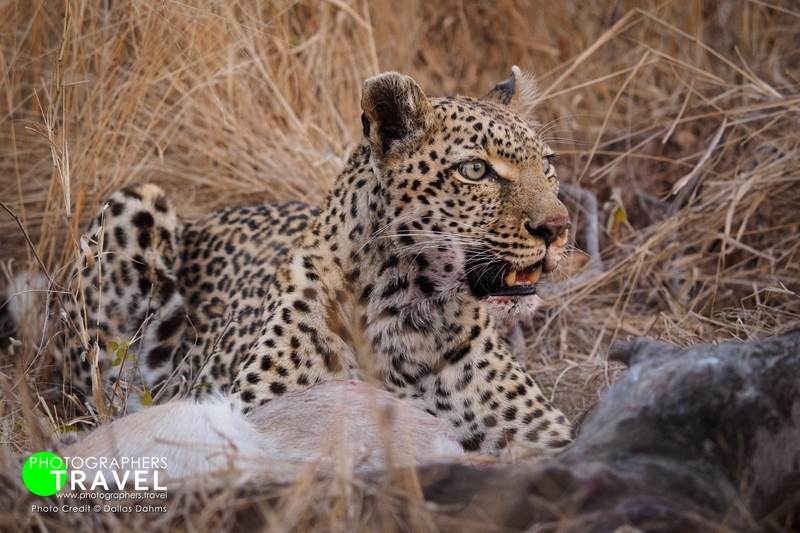 I believe this format of the trip will form the basis of all future safaris I do to Sabi Sands as it's just so much easier from a logistical perspective. So... if there are other FZ members keen on making up a small group to occupy 3 suites (max 5 PAX) anytime during 2019 let me know. It would be wonderful to get another group there next year. Here's the Little Bush Female who gave us all some amazing photo opportunities last year. If I have posted this one before my apologies. Thanks. She's very shy, this one. We were lucky to see her with this kill. Also got to see her haul it up a tree which I have some video of. I need to put together a new Inside Safari episode one of these days.